Animal and Native American trails crisscrossed the area long before the arrival of Europeans. These trails became the primary routes used by trappers, traders, gold seekers and pioneers in their trek westward. 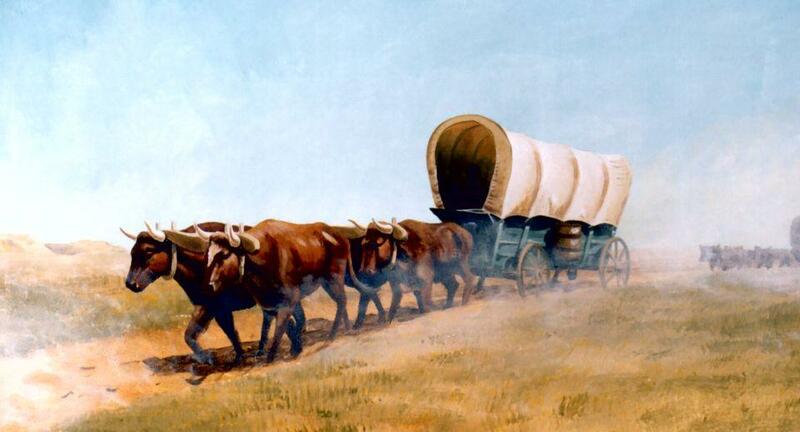 From the early to mid-1830s (and particularly through the epoch years, 1846–69) the Oregon Trail and its many offshoots were used by about 400,000 settlers, farmers, miners, ranchers, and business owners and their families. The eastern half of the trail was also used by travelers on the California Trail (from 1843), Mormon Trail (from 1847), and Bozeman Trail (from 1863), before turning off to their separate destinations. Use of the trail declined as the first transcontinental railroad was completed in 1869, making the trip west substantially faster, cheaper, and safer. 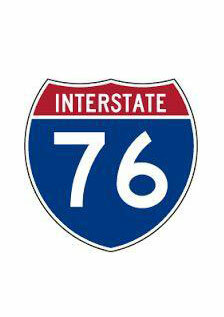 Today, modern highways, such as Interstate 80 and 76 follow parts of the same course westward. Hundreds of thousands of seekers traveled from various points in the east to reach the Pacific Northwest. After encountering great hazards crossing to the north of the Platte River and much hardship maneuvering wagons at the California and Windlass Hill, a safer crossing was found at Jules Beni's trading post. This crossing is called the Upper California Crossing where the river was calm,wide and travelers followed the Lodgepole Creek out of the great Platte River Valley. With the discovery of Gold in California, the eastern half of the Oregon trail was also used by travelers on the California Trail. 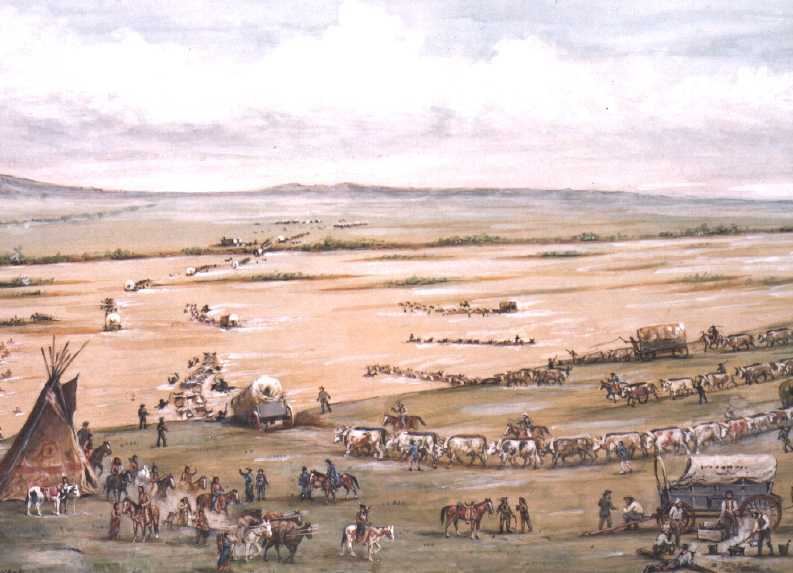 After re-stocking at Julesburg and fording the river at the Upper California Crossing, travelers could chose to go north or west out of the great valley of the Platte. 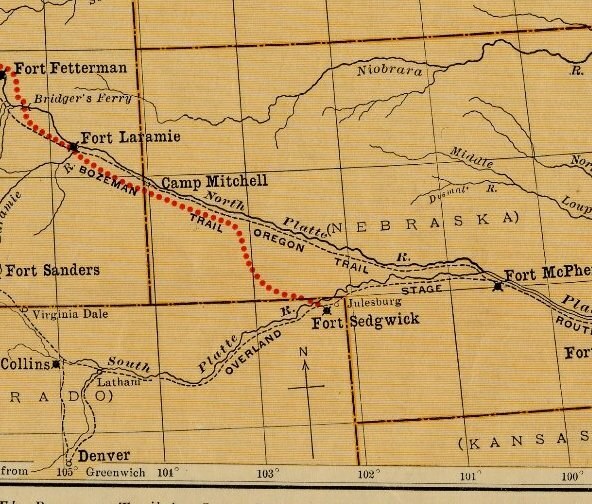 Gold Seekers left the main Overland Route at Julesburg/Fort Sedgwick and forded at the Upper California Crossing before continuing on to Virginia City Montana. Many Mormons chose to travel on the north side of the river to avoid potential conflicts over grazing rights, water access and campsites with travelers who were using the established Oregon/California trail on the river's south side. 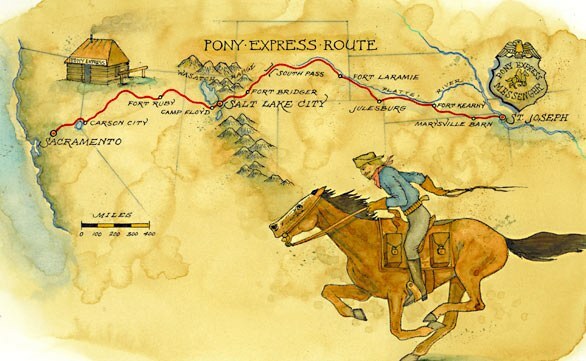 Prior to completion of the transcontinental telegraph line, Pony Express riders carried mail simultaneously in both directions between St. Joseph, MO., and Sacramento, CA. A home-station where both horses and riders switched was located at Julesburg site #1. 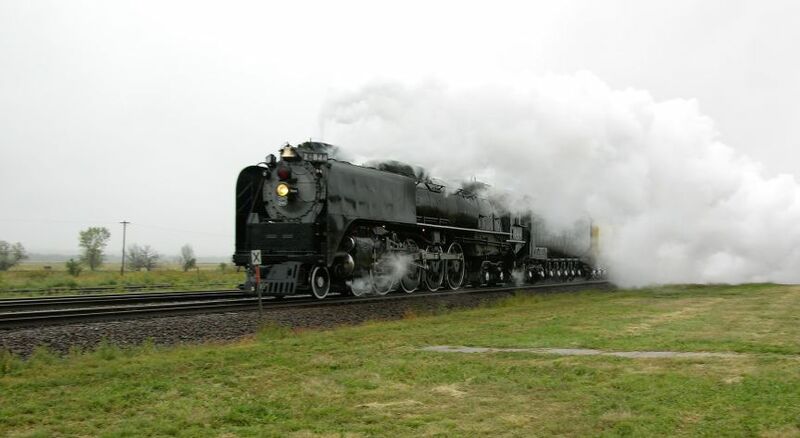 The dream of uniting America by rail began its journey to reality in June 1865 when the Union Pacific Railroad Company started laying tack westward from Omaha, Nebraska. Construction was slow but finally reached this point two years later. The railroad company laid only nine miles of track in Colorado along the north side of the South Platte River. This sealed the fate of the military post, trails, towns and telegraph line along the south bank. Today, freight trains pass along this same route pioneered over 150 years ago. 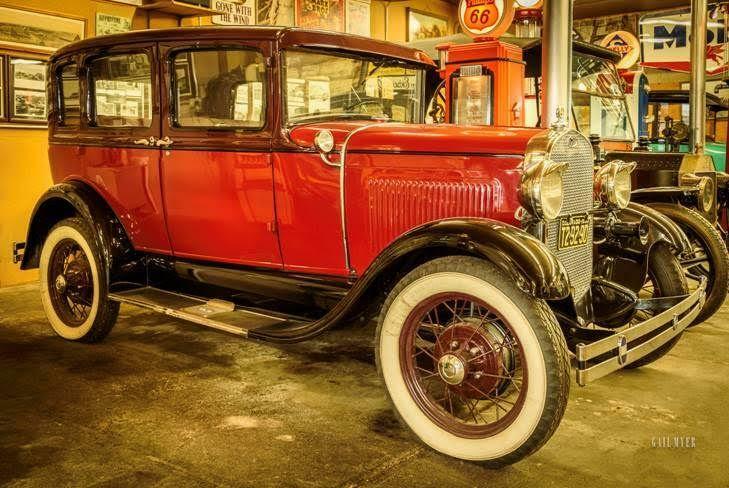 Many state governments (including Colorado) pooled their money and built the first highway across America. However the original route bypassed Colorado. With Colorado crying "foul", the highway organizers built a dogleg that entered Colorado at Julesburg and closely followed what is now Highway 138 and the northern portion of the present South Platte River Trail Scenic and Historic Byway. This Colorado loop proceeded to Denver before rejoining the main Lincoln Highway at Cheyenne Wyoming. Coming into Colorado today, Julesburg is the first town on Interstate 76 (I-76). Interstate 76 and the South Platte River Trail are a half-mile and one hundred and fifty years apart.